Benefits Of A Bodybuilding Lifestyle - A Teen's Perspective! You work out on a day to day basis, you look in the mirror, and you eat... Find out why and what some of the true benefits are. Learn more. Every sport requires the utmost diligence, determination and devotion. Lifting is typically a very stressful thing to do on a daily basis. Bodybuilding has been given a seemingly distorted reputation. You work out on a day to day basis, you look in the mirror on an hourly basis, and you eat in predetermined intervals, because the ultimate goal to look like a bodybuilder is your paramount objective. Everyone, of course at varying degrees, has been fostered to endure this type of lifestyle or have simply chosen to do it on their own. If you pull yourself out of this lifestyle momentarily, and look back on the skills gained, the lessons learned and the knowledge acquired, you will undoubtedly say it was all worth it. 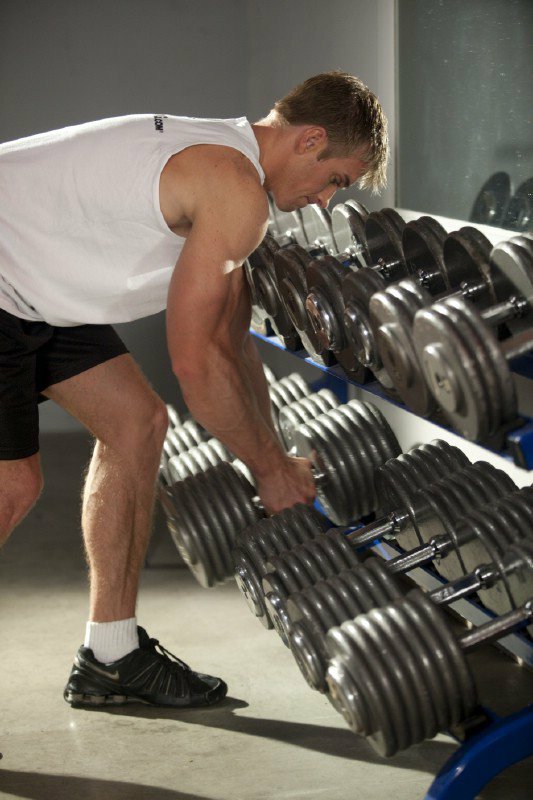 Although you don't flee the threshold of the gym anxiously awaiting an inch on your biceps that night, each session is very rewarding. Psychologically, emotionally and physiologically, every grueling second spent in the gym is worthwhile. For people of all ages, of all body compositions, of all genders and even of all ethnicities, I will offer you the countless benefits of such an exhilarating sport and what I, a 16 year old devoted trainee, have acquired having been "around the horn". Benefits Of Such An Exhilarating Sport." Every sport requires the utmost diligence, determination and devotion, but what really sets bodybuilding aloof from the others? Is it the central focus around barbells and rusty old plates? Probably not. Having competed in a bodybuilding competition, participating in an extremely stringent diet and coping with unnecessary stress, I can tell you it's not because I get to grasp a 100 lb dumbbell. People seldom put themselves under unwarranted bodily stress if they don't have to. [ Click here to learn more. ] What Makes A Bodybuilder? These are the five factors that prove what common bonds bodybuilders share and how they stand out from those that have yet to benefit from our wonderful sport. Of course there are definitely other reasons looming around out there, but these are the most frequent based on my short experience. Why Did You Devote Your Life To Bodybuilding? Now, before I go any further, most of you reading this are probably discrediting any insight from a 16 year old because you think, "Hey, what does this kid know? He's 16!" However, I can assure you, being a high school student, exposed to a myriad of different insecurities, most of what I have encountered I am sure you have as well. Taking the reasons I've mentioned into retrospect, I think most of you can extract one of the reasons and relate them to themselves. I know I can. But why are these insecurities so commonplace? Why does the vast majority, once the new year rolls around, sign up for a gym membership? Insecurities, Most Of What I Have Encountered I Am Sure You Have As Well. To me, the answer is quite lucid; the population is forced to conform under the public depiction of "normal". In America, a manicured and beautifully sculpted body is extolled and held in high esteem. However, when one deviates from what is considered "normal", a sense of inferiority sinks in. Insecurity, in my opinion, is the seed of a bodybuilder where every beginner starts out. Eventually they flourish and become fixed on the sport as if it's their incessant passion; their lifestyle. From here, people learn, grow (both metaphorically and physically) and develop a new and very different outlook in life. An outlook one never would expect to emerge. How Has Bodybuilding Affected You? Bodybuilding is more than just a sport or hobby; it is also a life changing activity. Bodybuilding can bring positive changes, confidence. Delving a bit into my past experiences with the sport, there are countless skills, elements and tools gained from being a bodybuilding enthusiast. First, if you have not endured the brutality of a diet, the monotony of a workout schedule, or experimented with the complexity of supplements, then I'm not sure you can relate. However, I'm sure you can imagine what each of these things would be like. Gained From Being A Bodybuilding Enthusiast. Sustaining yourself off of bland chicken breast for two months because seasoning contains sodium is definitely not the pinnacle of the sport. What is the pinnacle of the sport, however, is the mental ability to stick with an excruciating diet and looking back at the end and saying: "I did that!" Dieting is not fun, but learning to stick with something no matter how mentally dull it is, is a life-changing skill. Being a high school student, engulfed in the immaturity my school exudes, I can tell you, for fact, that most people can not stick to a diet regimen for any length of time. In fact, I'm sure it is the same everywhere; for adults, for athletes, for everyone. The capability to stay motivated and devoted is a skill gained from bodybuilding that applies to almost any practical situation. The training facet of the sport is just as mentally taxing as the dieting. Episode #6: Mind & Motivation! Watch and learn from Idaho's strongest man, ASC Pro Strongman Corey St. Clair! Corey offers the secrets of the mind to unlock hidden potential. Topics include increasing event performance with adaptive training, workout evaluation, and motivational imagery. 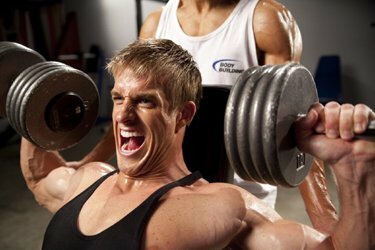 Lifting, although some enjoy it, is typically a very stressful thing to do on a daily basis. I believe it could even be considered the culprit for most of the unused gym memberships lingering around out there. Bodybuilding... it takes devotion. It takes motivation. If you don't have it yet, you will after playing the field for awhile. I guarantee you. Throughout the sport, most will encounter a somewhat immoveable wall which we call a " plateau". This term means that your improvements, your endeavoring goals, everything, comes to an abrupt halt. Not only are these sudden "flat lines" unbearably frustrating, but they strip you of all motivation to go back to the gym. [ Click here to learn more. ] Boost Your Motivation! Have you ever met a person who views every day as an opportunity? They have a few secrets that help them. Think about it, you aren't improving, so why go? Why put in the effort? That's the mentality most people tend to develop. What those people forget, though, is that these "plateaus" can be easily broken with the proper tactics. There are various methods to even avoid potential plateaus, which include: changing one's workout routine, differentiating one's diet (adjusting macronutrient breakdowns), swapping exercises, and even taking a break. The mindset of a trainee must be to carefully asses the current issue, to be persistent, and to not become flustered and quit. Giving up obviously serves as a temporary problem solver; but in the long run, one will lament such a hasty decision. Current Issue, And To Not Become Flustered And Quit. If you can emblazon the simple phrase "never give up" in your head, you will, without a shadow of a doubt, succeed in bodybuilding and acquire the skill of persistence! During a diet, during the strenuous road to a "newer you", there will almost always be a problem. However, unlike a multiple choice problem administrated in school, this one lies dormant somewhere, and you need to go find it. The Positives To Working Out! We all have our reasons to workout. This week we've put together some great information about 5 positive reasons for bodybuilding, why workout, and more. There are many aspects to a training and diet regimen: sets, reps, specific exercises, splits, rest intervals, macronutrient breakdowns, caloric expenditure, hydration, sodium intake, supplement timing, and the list goes on. When one becomes fully assimilated into sport, you gain the ability to look within and analyze the potential reasons for whatever went wrong. The Potential Reasons For Whatever Went Wrong. This skill, however, is not one you're intuitively blessed with from your mother's womb; it is one that takes years to achieve. Analyzing your entire bodybuilding regimen will enhance and sharpen your skills to analyze external factors and practical data. The sport of bodybuilding has been given a seemingly distorted reputation that I feel needs to be accurately addressed and substantiated. First off, if you were to arbitrarily ask someone on the street what he/she felt the true definition of a bodybuilder was, chances are, you would be unpleasantly surprised. [ Click here to learn more. ] Beyond The Muscle! In the purest sense we carry what may be the last guiding light... There are two sides to every coin and I'm here to shed a positive light on bodybuilding. People often tend to keep a superficial speculation on the idea of the sport without really thinking outside the box. They think hulky guys (or girls), overwhelming veins, an obtrusive physical structure - completely unnatural looking oddities - are the sport in a nutshell. What people tend to miss, however, are the small components that give bodybuilding its unique authenticity. Certainly not every bodybuilder casts a shadow the size of Michael Strahan and in most cases, people fall very short from that generalization. Michael Strahan is a former American football defensive end who played for the New York Giants of the National Football League as well as an actor. The sport is about much more than size, mass, and so on; it's about having an adequate proportion of mass with aesthetically pleasing definition to complement. An imbalance in either of these elements could have a severe impact on your overall physique as well as your endeavor to emulate what the typical bodybuilder looks like. For example, on my competition day of OCB's Eastern Seaboard States, I weighed in at a meager 125 lbs at 4% body fat. I was surrounded by a crowd of older guys who weighed a good 40-70 lbs heavier than me and carried a physique almost double the size of mine. Than Size, Mass, And So On. Although a situation like this seems rather discouraging and casts a negative light of infirmity onto my image, it did precisely the opposite. Because I was clearly the smaller dog in the fight, I channeled my focus and began analyzing everyone from a judge's standpoint. As I surveyed people backstage, I realized that I could potentially overcome the sheer brawn of the bigger contestants. I realized that most of them, although abounding in mass, simply lacked the definition and keenness that corresponds with their size. They were imbalanced - an aura in bodybuilding that is the linchpin to a person's overall performance. Tip #64: Sean Harley's Opinion Tip! 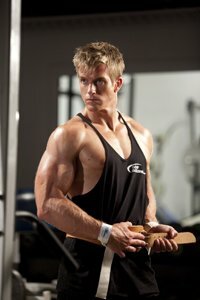 2009 BodySpace Model Search winner Sean Harley brings you this week's Video Tip of the Week. If you want to find out what you need to improve on, Sean suggests seeking out an unbiased opinion such as a stranger at the gym, or a judge if you compete. Those few co-competitors clearly neglected the importance of the pre-contest diet which manifested itself during the award ceremony. The larger guys, putting their massive hull aside, generally placed lower than well-condition guys like... me! Unfortunately, some people, as they are going through the contest preparation process, fail to efface the "all bodybuilders are huge" misconception from their mindset. As a result, they are forced to swallow the depressive reality that quality, in all shapes and forms, trounces on quantity. [ Click here to learn more. ] Habits For Better Fat Loss! The following describes my successes and details that will help you live better by improving your insides first! Learn more. Although having a large musculature factors heavily into the bodybuilding equation, it is obviously not the only factor. In fact, trimming away excess fat and tightening muscle bellies via sodium manipulation to develop the chiseled "look", is the detrimental factor to one's success. As a bodybuilding website and a bodybuilding forum, factions of different people have different theories and approaches to succeed and get ahead of the game. Scientific claims buttress ones theory while converse evidence discredits another. However, I believe we can all come to a terse equation to polish the key elements of a successful bodybuilder. And Approaches To Succeed And Get Ahead Of The Game. In the brevity of this article, I have mentioned some of the desirable characteristics that are confined within each and every individual. Although some opt or simply do not exude an aura of devotion, determination or persistence, or just don't have a hobby to project those skills on, there is always a stepping stone where one can slowly become more involved. I certainly did not spontaneously grasp a barbell and label myself a bodybuilder. It's a gradual assimilation process that each individual slowly needs to gravitate towards in order to attain a level of comfort before pursuing. However, when one completes the transition from an aspiring fitness enthusiast to a bodybuilder, a previous lifestyle decays as a new one emerges. [ Click here to learn more. ] Learn Commitment! We do ourselves a great disservice when we blur the lines between intention and commitment. Learn what commitment truly is and why many fail. Devotion, persistence, analytics, the whole nine, becomes the key components in life rather than a honed skill to stabilize motivation. Every aspect of bodybuilding, from the daunting hour of training to the post workout meal, stimulates the best within everyone to surface. Everyone has the capability to narrow their scope and go head first towards their objective, but bodybuilding casts a different light onto accomplishment. It's your body that is the beneficiary. And Go Head First Towards Their Objective. Your hard work and your will to succeed is manifested onto your body to be carried and flaunted around with you everywhere you go. People will invariably notice as you walk down the street that your body has flourished and evolved. Converting a limp and unwieldy body into something desirable and extolled by literally everyone is going to take some getting used to, but you will adapt. As you are getting ready for work, while mentally scrutinizing your body image as you try on different shirts and pants, a feeling of accomplishment will seep in. A feeling and sensation that is truly incomparable to anything else you have ever imagined. This is what makes bodybuilding unparalleled to any other sport, hobby or pastime out there. Its authenticity is truly unbeatable.